Thanks to the 2013 NDLA Sponsors! Nebraska Distance Learning Week 2015—Social Media Challenge! Here’s a map of the conference center. If you are arriving Wednesday evening, hotel check-in is on the west side of the hotel. 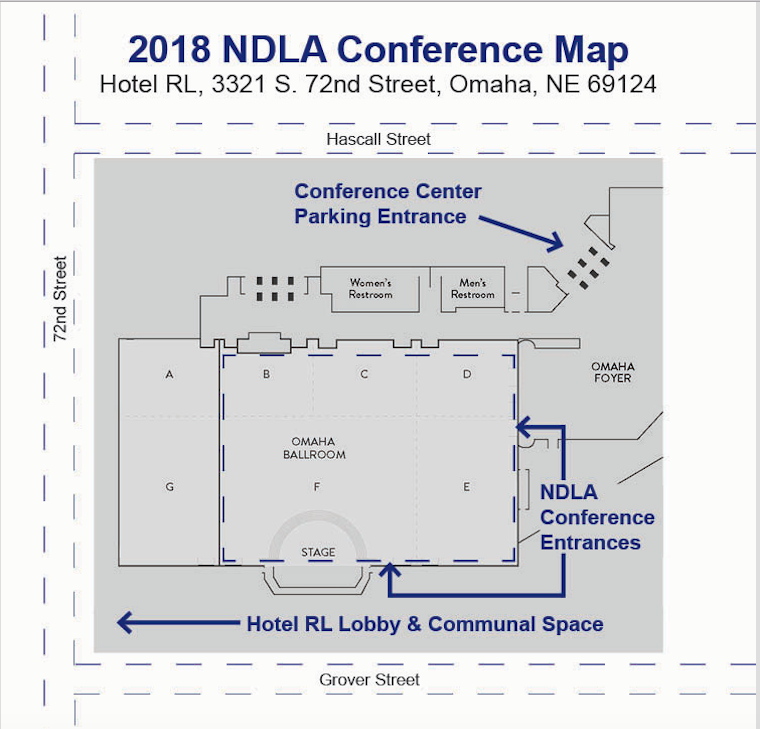 If you are arriving Thursday morning for the conference, convenient conference parking is on the north side. Parking is free!